Thinking of visiting the most beautiful island in the Caribbean? St Lucia is the place for you. What’s not to love about St Lucia? The sun. the beaches and the food are all amazing reasons for you to visit the most beautiful country in the world. To help you decide on where to stay, we have come up with the best all inclusive St Lucia resorts. These are the best of the best places to consider when visiting St Lucia. Ladera Resort in St Lucia is the most unique and luxurious resort to stand. It is the only resort on a UNESCO World Heritage site. The resort is situated on a volcano ridgeline about 1000 feet above the Caribbean sea level with stunning views of the Pitons. The resorts boast 37 intimate rooms and suites which is perfect for a romantic getaway. The gorgeous resort is constructed from locally harvested tropical hardwoods, stone, and tile. The furniture found at the resort is handmade on site by St. Lucian artisans. This makes more unique and a good enough reason to stay there. The view of the resort overlooks the Pitons and is a must see. The next St Lucia Resorts on our list is the Capella Marigot Bay and Marina and a must visit when you plan your next trip to St Lucia. Are you looking for a luxurious resort in St Lucia? Think the Capella Marigot and Marina, a destination designed to provide the highest standard of personalized, detail-oriented services to you and your guests. Did you know that “Dr. Doolitle” was filmed here? Some businesses are known to have named some of their establishments after this movie. The restaurant “Doolittle’s Restaurant” is named after this movie. The Capella and Marigot Bay is unique and beautiful with lush tropical trees and sandy beach. The resort is great for adventurous and romantic gatherings. 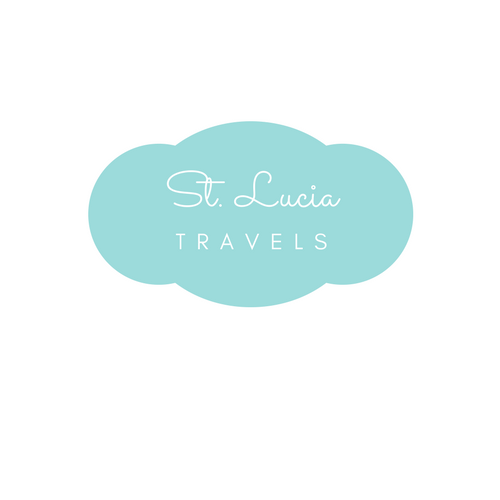 St Lucia Resorts are known to make the best of any vacation. Calabash Cove is one of St Lucia’s newest Boutique resorts and it is highly recommended. It has a Panoramic Caribbean view, beautifully designed guest rooms as well as the most popular signature restaurant “Windsong” and spa. The spa is a must see. The lively C-Bar overlooks the infinity pool to the Ti Spa, you will definitely have everything you need to vacation at the Calabash Cove Resort right there. The Royal Saint Lucia Resorts & Spa is a 4-star luxury situated on the most beautiful beach in St Lucia. It overlooks the Pigeon Island and it offers a blend of sophistication and privacy for its guests. The resort has a stunning spa that is raved upon by guests and has an award-winning restaurant located at the spot. You get the opportunity to enjoy a wide range of treatments, therapies, and massages at this royal resort. If you want to be treated like royalty, then this is the resort for you. The Landing Resort and Spa in St. Lucia caters to everyone. They have a romantic section for the couples. an area for the kids which makes a home away from home for families and also caters to weddings/honeymoons. This gorgeous resort is located on the shore of Rodney Bay along one of St. Lucia’s most celebrated beaches. This resort definitely has some luxury and elegant touches attached to it. It boasts amazing villas, a yacht marina, and the Caribbean’s breathtaking turquoise waters. This stunning resort is a boutique resort exclusively for couples. It’s an inclusive Resort that caters to romance and love. As the name suggests. This is Rendezvous location for couples to get away and enjoy that special moment with each other. If you are planning a destination wedding or looking for a place to escape for your honeymoon, the Rendezvous is your ideal getaway location. This romantic resort is located on the beach and offers romantic candlelit dinners at its finest restaurants. They have an amazing pool which they call the lady river pool. This pool meanders through the resort creating small nooks and hideaways for those intimate moments. One to experience true romance? Then the Rendezvous Resort in St Lucia is for you. Another couple’s retreat, the Sandals Halcyon Beach Resort in St Lucia. This is an all-inclusive resort that also caters to couples. Sandals is a very reputable company and so we know staying at any Sandals will give you value for your money. This romantic resort is perfect for couples looking to get away and spend time with each other. What makes the Sandals Halcyon a romantic resort? It has an all-new beachfront honeymoon butler suite, 3 whirlpools for those romantic dipsand a piano bar for those late night dancing in a St Lucia Resort. Cap Maison Resort is in a truly breathtaking location in one of St. Lucia’s most desirable areas. Set atop a private ocean-front bluff with magical sunset views over the clear blue waters of the Caribbean Sea, Cap Maison combines luxury, elegance, charm, and uncompromising standards of five-star personal service. Many of the suites offer private rooftop terraces and pools which makes this one of the best St Lucia Resorts out there. This resort caters to families, individuals, and couples. The St Lucia Golf & Country Club is minutes away which is great for the golfers. Ti Kaye Resort and Spa is known for its beautiful nature-inspired look, Each of its cottages is built with nature in mind making it the most beautiful destination resort in St. Lucia. The amazing spa of Kai Kai Koko is located at this resort and its a must for any spa lovers. Want to satisfy your food side, don’t forget to visit the mouth-watering restaurant Ti Mange or the upbeat lounge Ti Kave Underground Dungeon Wine Cellar. The dungeon is one of the largest in the Caribbean. Want to have more of an adventurous outing? The Ti Kaye has expert Island Divers that will take on an adventure to find buried treasures. You definitely want to visit this resort in the near future. Last but not least, the Sugar Beach, A Viceroy Luxury St Lucia Resorts is our top recommending location. This hotel is set within over 100 acres of rainforest on the site of an 18th Century Sugar Plantation. It is part of the UNESCO World Heritage. This to die for landscaped goes down to meet the white sand sugar beach. If you want a truly amazing unforgettable experience, then you must put this down as of the St Lucia Resorts you visit on your next trip. Which of these amazing resorts in St Lucia Resorts will you be visiting? Tell us in the comments below. Be sure to check on these amazing deals !!!! whoah this blog is excellent i love reading your posts. Keep up the good work! You know, many people are searching around for this information, you could aid them greatly.